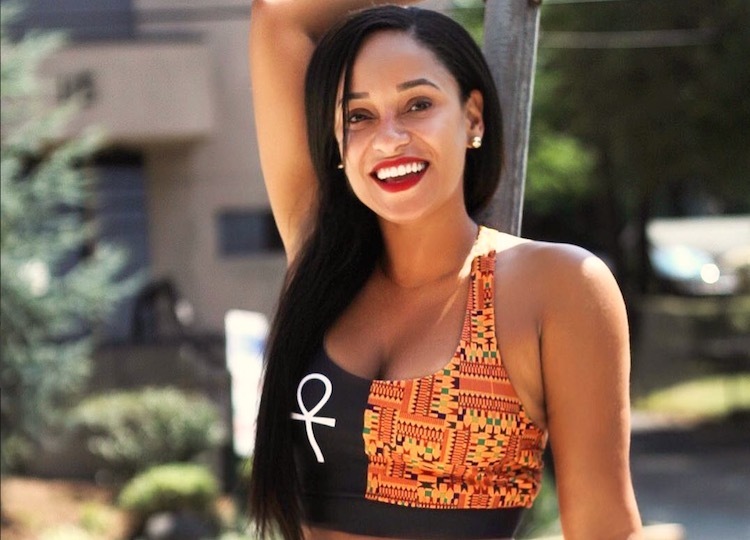 Tahiry Jose is an American popular socialite, model, actress, and a TV Personality. Besides being famous, Jose is widely known for her role in Love & Hip Hop and other movies such as Interludes (2012) and Beautiful Destroyer (2015). Born in New York City, Tahiry Jose has built an outstanding brand out of herself on the screen to earn both fame and fortune. There’s a lot to know about the Afrolatina; her fabulous lifestyle, career, relationships and every other thing in between which you will find here. Tahiry Jose was born on May 5, 1979, in Harlem New York City as the daughter of Lizzy Mateo. Growing up in the city, Jose attended high school at the New York Public Schools and later enrolled to acquire a degree at John Jay College of Criminal Justice. For all we know, the Dominican queen, as she is fondly called, started out from health & fitness model and then moved on to acting. Although it was reported that she gained prominence when she started dating Joe Budden, a broadcaster and former rapper and songwriter, Jose has been independently building her career as a TV personality and a businesswoman. Jose has been on the journey to stardom since 2009. But before coming into the limelight, she started out as a bartender who most people thought would end up most likely a washed-up video chick with hopes of trying to make bad sounding music. During an interview, Jose said she loved the nightlife which was what made her side job as a bartender more interesting than typing her life away in a cubicle. According to her, getting a degree was a plan B. But while that is the case, the Dominican beauty is keeping her life interesting on the screen; featuring on Broadway shows, modeling for brands, making waves as a social media influencer and working as a professional shower singer. The Afrolatina has also been into the beauty business for a long time and has revealed some of her beauty tricks during her interview with All Hip Hop, which includes working out and eating good food. Like most people would think, the actress doesn’t waist train. On how she began her career as a model, Jose admitted her relationship with former rapper, Joe Budden influenced the move. Speaking about the video that launched her modeling career, Tahiry Jose said it was a raw and uncut clip that exposed their [she and Budden’s] lifestyle as a couple living together. As the audience got to see the real life of Jose and Budden, the video gained massive views and people wanted more. Right from the first clip, she began getting attention from radio stations and magazines who became interested in who she was. Jose said she wasn’t ready at first to respond to calls to photo shoot for King Magazine and only wanted to be married and have kids. But she decided to go take the photo shoots and do the spread that placed her on her first magazine cover. She currently has 1.8 million followers on Instagram and graces the front pages of magazines with her bootylicious body. Jose has reached the point in her career where she earns a substantial sum to maintain a fabulous lifestyle. Her diverse income stream ranges from acting, modeling and other entrepreneurial activities. She is reportedly raking in as much as $20,000 per month from her ventures and her net worth is estimated to more than $250, 000. She is single but has been into a number of relationships. As a socialite, she has been spotted with famous celebrities like Bow Wow, Drake, Joe, Trey Songz, LeSean McCoy. It was rumored that she had a secret romance with A$AP Rocky but the rapper preferred the supermodel, Kendal Jenner. Nevertheless, she was more popular for her relationship with Joe Budden. Their long-term intimacy was described as toxic, yet good; in-so-far-as the bodacious video vixen walked away with success tailing her. In 2014, the Love and Hip Hop: New York star was violently attacked during a fall fashion show by a guy named Charles Suggs whom she got into a heated argument with, backstage. The incident reportedly left her in physical therapy and wearing a neck brace, while the culprit was charged to complete an anger management program, as well as restricted from going close to Jose for 5 years.